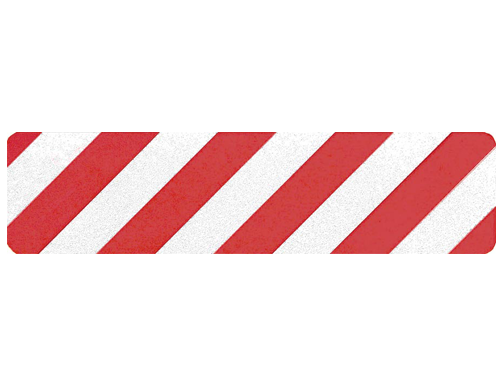 Make your safety solutions stand out with anti-slip hazard stripe treads from Sure-Foot. These treads are a perfect solution to prevent slips and falls where safety is a must. Made from mineral abrasive grit-coated polyester film, these treads come with one side pressure sensitive adhesive with removable liner. 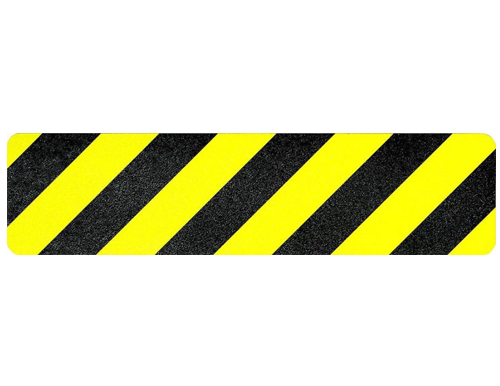 These hazard treads are a safe, affordable way to increase awareness in areas that require extra attention with hazard-stripe treads.